More than 30 children involved in violent disorder at a football match have attended a one-of-a-kind out of court youth workshop pioneered by Hampshire Constabulary, Portsmouth Football Club and Pompey in the Community. The boys, who are all aged between 12 and 16 years, were also been banned from attending any home or away Portsmouth football games for the rest of the season, and were required to complete work in the community following the workshops. A total of 32 children were identified as part of an investigation into aggressive behaviour which saw coins, stones and bottles thrown at football fans following the Portsmouth v Oldham fixture at Fratton Park on Saturday 30 September 2017. Instead of seeking a prosecution through the courts, Hampshire’s dedicated detectives, football officers and youth offending team, in partnership with Portsmouth Football Club, held three workshops at Fratton Park between Wednesday 13 December and Thursday 14 December last year to educate the group. During the sessions, which were attended by all 32 boys and their parents, the children were handed CCTV stills of themselves depicting their offending, before police delivered an educational talk about football violence. The father of a young offender gave an impactful speech to the children about the serious implications that this type of offending has not only on them, but on their families. Eric Eisner, a director of Portsmouth FC, also attended the workshops and spoke with the boys regarding the impact their behaviour had on the club and its reputation. As part of the community resolution, all of the boys agreed to complete community project work led by local charity Pompey in the Community. 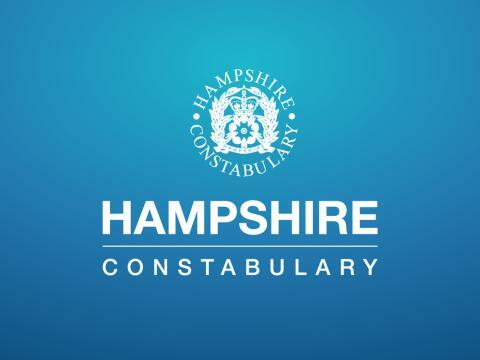 The scheme was subsequently shortlisted into the Best Football Community Scheme category at the Football Business Awards, which was attended by Hampshire officers on 22 November. As a result of the excellent partnership work, the scheme was recognised for its innovation and Pompey in the Community scooped a Bronze Award at the ceremony. The team of investigators were also the proud recipients of a Chief Constable Congratulations at last month's Chief Constable Awards, recognising their efforts in targeting the disorder at both the Portsmouth vs Oldham match and the Portsmouth vs Plymouth match, which took place in April 2017 and saw 17 offenders sentenced - many of which were imprisoned. The investigation has now concluded, with the final five adult offenders being sentenced and handed banning orders at Portsmouth Crown Court in November and December this year. Following the workshops, Match Commander Superintendent Kelly Whiting said: “This is the first of its kind in the country, and we are pleased that Hampshire’s unique method of community resolution will soon be used as an example of best practice for other forces across the UK to adopt. “We have been approached by the UK Football Policing Unit, who will be funding the scheme, and we will get the ball rolling highlighting these workshops nationally at football conferences. “For many, if not all of the children and their parents, the workshops were a huge wake-up call which no doubt made them seriously think about the severity of their offending. “They are very lucky that other spectators were not seriously injured as a result of their actions. If they behave in this manner again, they could find themselves in court or even prison. “This was an excellent investigation by our officers who worked tirelessly to identify close to 50 people amongst a large crowd of football fans. “We have now seen five men sentenced through the courts as a result of their involvement in the offending which left members of the public, including young children, terrified. “Missiles were thrown at innocent bystanders, and aggressive fans stormed the pitch, forcing the game to be suspended for 90 seconds. “In addition to this, another two men have been given banning orders for being involved in the pitch invasion during play, a further seven men were cautioned, and a 15-year-old boy was given a banning order and a community order for his involvement in the violent disorder. “We simply do not tolerate this behaviour, which is why steps have been taken to educate the younger members of the group responsible to ensure they do not continue this awful conduct through to adulthood. Our goal is to divert these young men away from football-related offending without criminalising them.